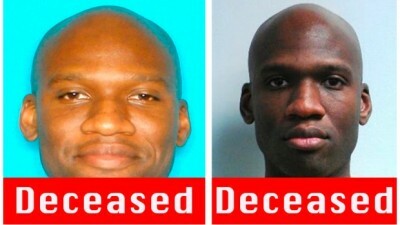 As media pundits scrounge through Aaron Alexis’s background for clues to the uncontrolled fit of rage that led him to gun down 12 civilians at the Washington Navy Yard, a most egregious accusation has been raised against his devotion to “the dark side of meditation.” Critics have charged that Thai Buddhist meditation classes promoted his psychological detachment from reality, implying such practices amplified the voices in his head and thus impelled him to mass murder. In a further attempt to shift the blame onto the tiny Thai community in America, the New York Post in tabloid-style claims that his break-up with a Thai girlfriend and a frustrating trip to Bangkok to find another soulmate led to the pent-up rage that was later unleashed in gunfire. This sort of vile speculation is demeaning and completely irrelevant, since couples break up every day of the year without venting their grief in a suicidal shooting spree. His target was not his ex-girlfriend and her circle of friends in either Texas or Thailand, but against unrelated victims at his workplace in Washington D.C. These sorts of misleading conclusions put the cart before the horse. From medical records and accounts of his acquaintances, Alexis was well aware of his emotional difficulties and had sought help from his VA hospital and wherever he could find it, and one source of comfort was the Wat Busayadhammavanara temple on the outskirts of Fort Worth, Texas. Alexis attributed his mental-health issues to his assignment in cleaning up contaminated debris at the 911 Ground Zero site, but the Navy claims no such record of this work. While New York was indeed his hometown, it is a strikingly odd coincidence that he was seen exiting a subway near the World Trade Center just as the twin towers were collapsing, as reported by the Post. The career of Alexis runs parallel to the 911 era, when thousands of servicemen were assigned to secret combat missions that do not appear on their military records. Another troubled Navy reservist, Christopher Dorner was trained as a sniper at Fallon air station, Nevada, and with an elite commando unit that required every member to swim with full combat gear from Camp Pendleton on the California coast to military-controlled San Clemente island – a nearly superhuman feat. As a sniper, he was sent on secret missions into Iraq, the nature of which the Pentagon has never disclosed. Those blank pages in his record undoubtedly are key to understanding his personal rebellion against the government that he had served, and are key to unraveling the alleged double homicide and other fatal shootings Dorner is accused of perpetrating in the Los Angeles area. The hard questions that must be raised in the Navy Yard case include: Was Aaron Alexis assigned to missions similar to the dirty work as portrayed in Robert Ludlum’s Jason Bourne series? Was he subjected to intensive psychological programming and mind-control techniques? Did one of his secret missions involve the destruction of the World Trade Center on that fateful day in September? If any of these factors haunted his military career, then Alexis had good reason to seek out Vipassana meditation, which was developed by Sinhalese Buddhists in ancient Sri Lanka and then transmitted to Thailand. Meditation can be a tool to break free of the mental shackles and code of silence imposed by his superiors in military-intelligence. The psychological programming project, popularly known as the Monarch or MK-Ultra program, is not fiction. The notorious Boston arms runner and drug trafficker Whitey Bulger was recruited as an FBI informant in Atlanta federal penitentiary after he underwent a battery of LSD experiments along with 20 other prisoners. Bulger was recently convicted on multiple homicide charges in federal court. The U.S. military developed similar mind-manipulation programs, as depicted with some accuracy according to insiders, in the George Clooney film “Men Who Stare at Goats. In the case of a Japanese citizen, who stabbed a British professor in a failed murder attempt in Albuquerque, I have conducted a series of interviews about his hearing voices and suffering extreme pain inside his skull – symptoms identical to Alexis’s complaints. These disorders can be traced to the introduction of digital mobile phones in the 1990s, specifically the TETRA transceivrs, developed by Motorola-British Telecom for the U.S. military and NATO forces. The electromagnetic signals are of the same wavelength as human brain waves. Alexis was involved in the Navy’s secret communications work and therefore would have been exposed to this same type of signals. A technological accident involving risky microwave signals is a benign scenario for the gunman’s problems as compared with the darker possibility of his involvement in a 911 false-flag intrigue orchestrated by rogue elements within the Pentagon, intelligence agencies and perhaps even the White House. In the latter case, Alexis would have been constantly kept under surveillance and insidious threat, a good reason for paranoia. The lone gunman theory is again being deployed on the 50th anniversary year of the assassination of President John F. Kennedy. Is Aaron Alexis another patsy like Lee Harvey Oswald, a former Marine previously involved in top-secret missions at Atsugi Naval Air Station in Japan? The Pentagon has remained silent for a half-century on the cold-blooded killing of a U.S. president, so it doubtful that the top brass will ever reveal the facts about what really happened inside the Naval Yard. To blame meditation by Thai Buddhist practioners is a cheap trick aimed at diverting public attention from the home-grown causes of gun violence under a pervasive surveillance state. Buddhism, especially of the Theravada school practiced in Thailand, stands firmly opposed to these sorts of overbearing societal pressures and, to the contrary, tries to help individuals rediscover their genuine mental grounding, which in Judeo-Christian terms could be called moral conscience. When Alexis turned to Vipassana meditation, it was to free himself from the shackles that imprisoned his mind. This is not to say that Buddhism is entirely peaceful as is commonly assumed. There are political factions in Buddhist societies that, for reasons of material interest, advocate violence. This is obviously the case in places like Sri Lanka, Myanmar and Japan in the wartime period, where fanatic monks or priests have urged brutal attacks against minority religious groups and foreigners. These gross violations of the Buddhist doctrine of non-violence are based on secular power struggles that exploit religious differences. Some of these same problems applies to Tibetan Tantric Buddhism in the politically complex struggles inside and outside its homeland. The Southeast Asian temples in the United States are not associated with any of these deviant teachings but remain true to the original calling of helping people resolve their personal troubles and live together in harmony. Most of these religious communities – Vietnamese, Cambodia and Laotian –arrived as refugees, while Thais came as students or economic migrants. These subgroups are by no means free of violent crime against each other or against other Americans, as has shown in several shooting incidents in Minnesota and on the West Coast. If anything, these communities have been occasional victims of discrimination and violence, as in the case of the murderous attack on schoolchildren in Stockton, California, in the late 1980s. In none of these past cases of violence has Buddhism or meditation ever been suspected as the cause of crime. To borrow a phrase from Jesus of Nazareth, the wider solution to the Aaron Alexis mystery is: Physician, heal yourself. The root problem resides in the violence of American political power, not in the nonviolence of Buddhism. Yoichi Shimatsu, a Hong Kong-based science writer, is former editor of the Japan Times Weekly in Tokyo. During the 1980s, he served as a church-based counselor for Southeast Asian refugees and covered the Stockton massacre for the Pacific News Service in San Francisco.